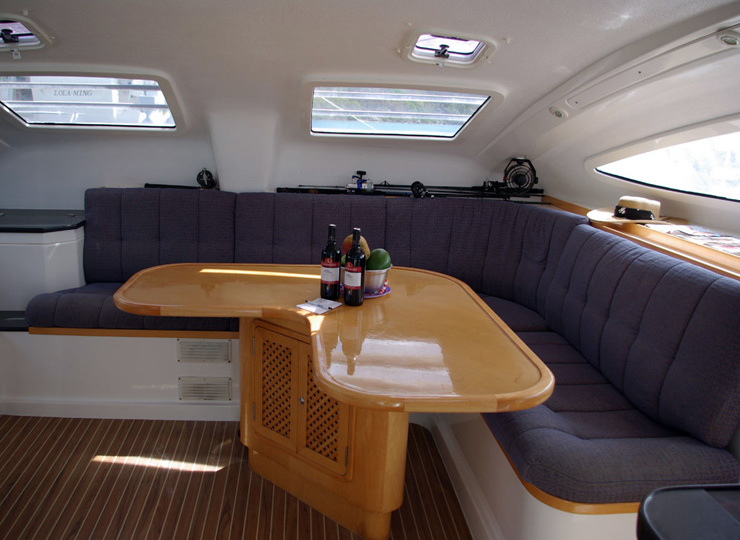 The exterior of the boat is carefully built with spacious bow spirits trampolines and foredeck. 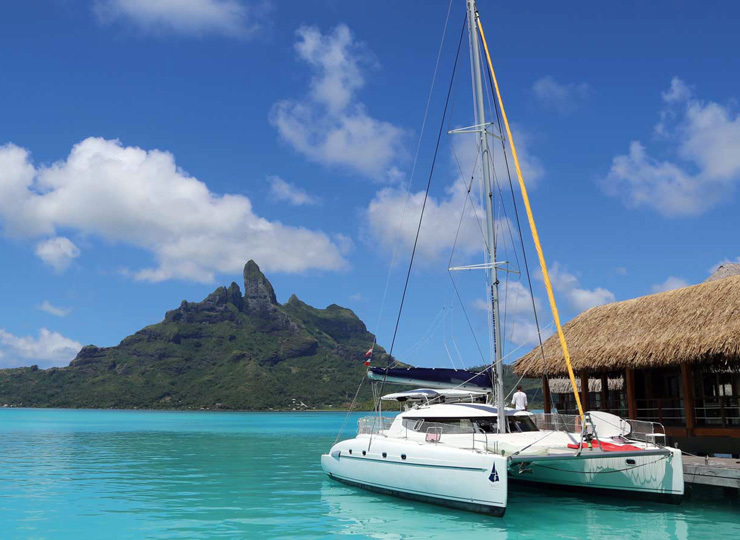 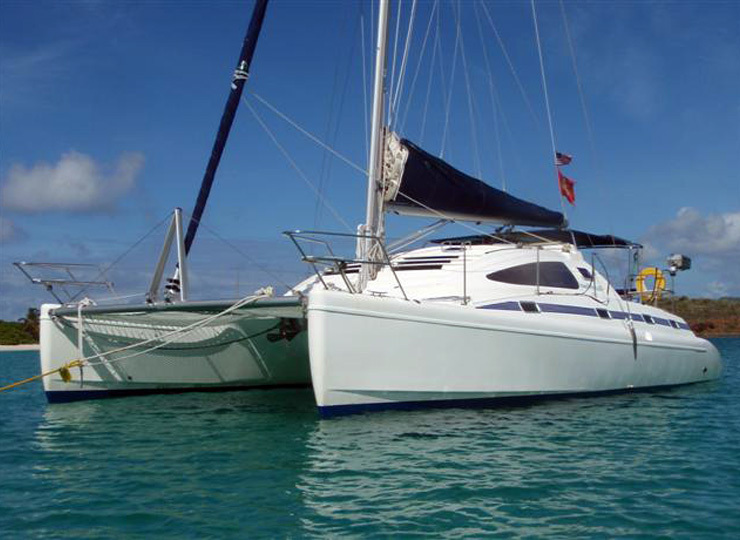 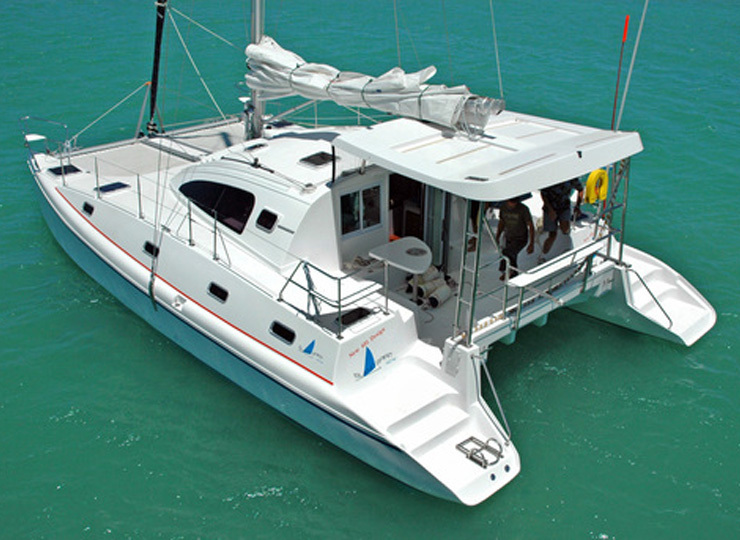 It is unique as it has features like self-tracking JIB, main sail and sail cover with lazy jack system . 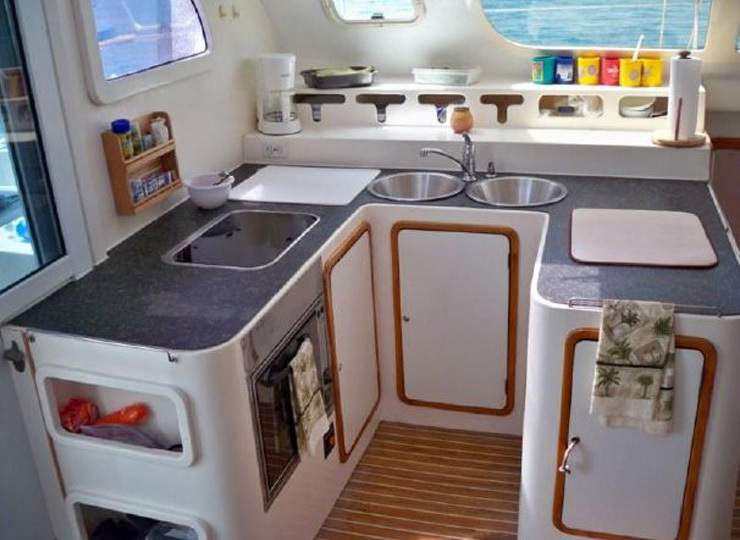 The world class exterior gives a very comfortable safe wall ways on the side deck along with the swimming ladder and stern. 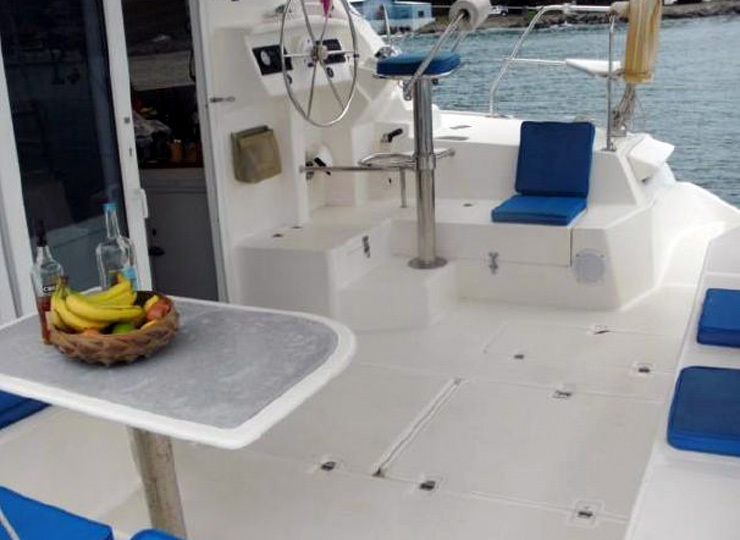 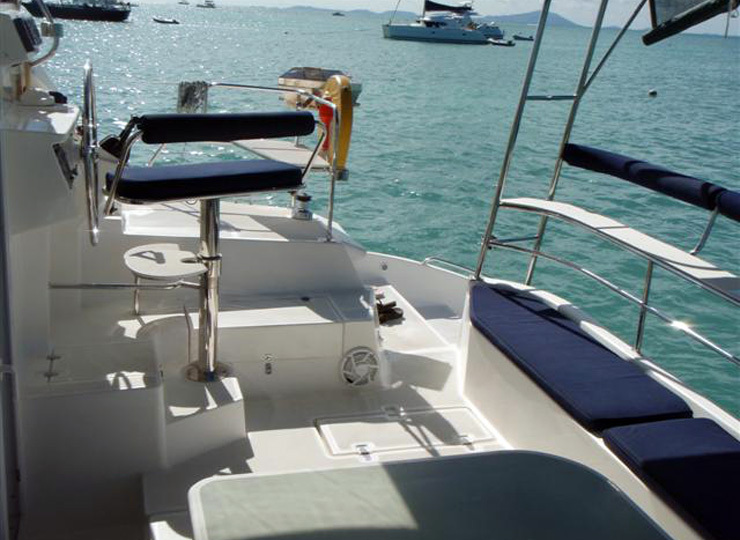 With 700 mm of bridge deck clearance the boat rides high up on the waves and reduces slamming to a minimum.